Rugs add a lot to rooms, from visual interest to softness. However, many people think that you can’t use a rug in a small room. This just isn’t true. While it can be trickier to find an appropriate rug for a small rug, choosing the right rug can greatly improve the appearance of even the smallest room. Here are some things to consider when you are trying to find the perfect rug for a smaller room. Size is an important consideration when choosing a rug for a smaller space. You might be tempted to choose a very small rug, but a rug that is too small will actually make everything feel smaller and more cramped. However, you shouldn’t choose too big of a rug either. The right sized rug will sit under the front legs of the furniture, but leave bare floor between the rug and the wall on all sides. You’ve probably heard it before: light colors will help a space feel bigger. They allow more light to bounce off them, making the room brighter and airier. You don’t need to choose a pure white rug, but lean towards lighter versions of your favorite colors. A light tan or grey is a great neutral choice if that’s more your style. The scale of your pattern should directly relate to the size of your room. If you choose too large of a pattern, it will only repeat a few times and make the rug look very small. Instead, a smaller pattern will help the rug feel larger and thus help the entire space feel larger as well. You can also choose a solid color rug so you don’t have to worry about the size of the print. Consider the rest of your room when you’re choosing a rug in a small room. You shouldn’t really have multiple focal points in a small room, so you need to consider that when choosing a rug. If you have bold furniture or artwork in the room, consider a more subtle rug. If the rest of your room is more toned down, you can choose a rug with a brighter color or bolder pattern. When you have a small room, the rug is much bigger of a focal point. This is why it’s so important to keep it clean. Be careful of spilling anything on your rug. Vacuum your rug regularly to help keep it clean, at least once a week. You will also want to have a professional rug cleaner treat your rug at least once a year. This will keep your rug neat and clean. 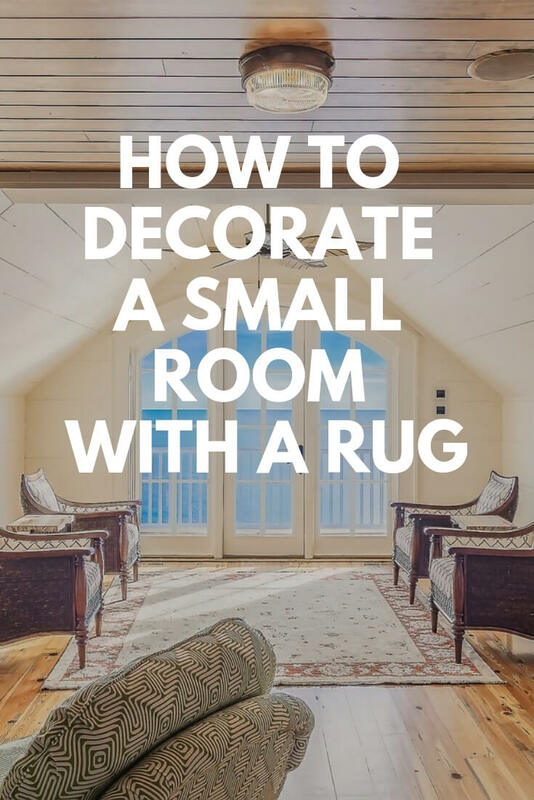 If you follow these tips, you can find the perfect rug for any small room you may have! Just How (Un)Healthy is Your Carpet? Save big with our current Chem-Dry cleaning coupons in Macomb & Wayne Counties in Michigan. Our coupons change regularly so take advantage of these savings while they last! Check back frequently to stay up-to-date with our latest promotions. Give us a call at (586) 612-1830 or send us a message with any questions.